Sleep apnea is a disorder which makes breathing and sleeping simultaneously almost an impossible task. Thus, those with this condition tend to wake up a number of times during the night, out of breath. According to medical studies, people with achondroplasia or those who have smaller stature than average sized persons, are more likely to develop sleep apnea. This is because their chest is relatively smaller than normal. Additional reasons include a short neck, a small chin and a small face. Their soft tissues also continue to grow long after their bones have fully developed. Thus these tissues which are contained in smaller spaces will tend to obstruct passage ways. Other reasons for developing sleep apnea include obesity, excessive alcohol intake, drug use, asthma and other upper respiratory problems. What are the symptoms? Do you snore? Do you feel sleepy during the day or cannot keep your eyes open even after a full sleep of 8 hours? Chances are you have sleep apnea. Other symptoms include morning headaches, memory loss, and high blood pressure. There are many type of sleep apnea; the most common of which is called obstructive sleep apnea. This is caused by a blockage in the airway. Why does this obstruction occur only when you sleep? When a person sleeps, chemical messengers tell the brain to relax some parts of the body very much active when a person is up and about. These parts include the muscles in the airway. When these muscles relax, the soft tissues lining our throat have the tendency to block the airway. If you have sleep apnea, you will go through the motions of breathing for a while before realizing that you are actually not taking in oxygen. When you suddenly wake up after a minute or two of sleeping, the muscles immediately tone up, thus the blockage of tissues is removed. When you have apnea, waking up and immediately drifting back to sleep is a normal occurrence that you actually sleep through these rituals. However, because the body is not properly rested, you will wake up in the morning, still feeling sleepy and tired. Oxygen loss in people with this disorder has an adverse effect on the other organs. Examples are irregular heartbeats and memory loss. For children, lack of oxygen may retard their growth, thus disabling them to reach their ideal or potential height. Be wary if you snore. 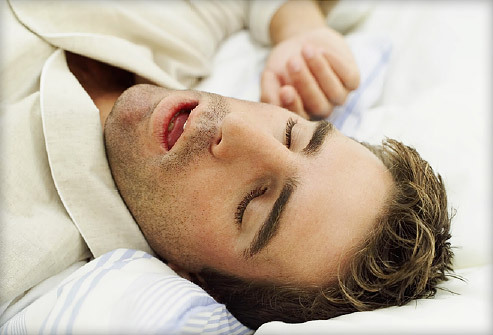 You may already have a mild form of sleep apnea. You can visit a clinic where an overnight sleep study will be conducted. This study has been successful in detecting apnea and other sleep disorders. Treatments may include securing a device called a breathing machine or surgery. First discovered by Dr. John Langdon Down in 1866, knowledge about the Down Syndrome has come a long way from mere rudiments of an observation that people affected share physical characteristics, developmental delays, and learning disabilities. The first name given to children having this condition is “Mongoloid.” The reason for this was because Dr. Down compared their appearance to children from Mongolia thought to have some kind of genetic anomaly. This insult enraged the Asians that it the name was changed to Down’s syndrome or, as it is known now, Down syndrome. Before reading this make sure you read my FAQ list I have done on this subject. Down Syndrome occurs when an irregular chromosome manifests in a person’s body cells. It may also result from an extra chromosome in one or all cells. Both are consequences of abnormal cell division in the egg which up until now, scientists could not explain. Having Down syndrome is apparent on a person’s appearance–a flat face and nose, eyes which are slightly tilted upward, a small mouth. Other signs which are not tangibly manifested may include below average intelligence, slow and delayed development of motor skills, intestinal abnormalities, irregular ear structures, heart defects and irregular respiratory tract structures. 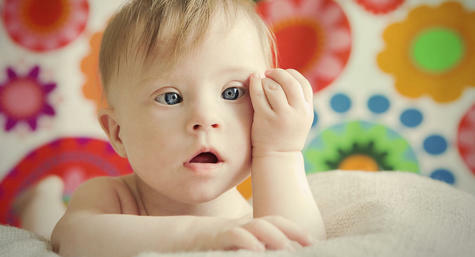 Even if your baby is still unborn, Down syndrome can be detected. This will help the family prepare for caring for a special child and plan for his or her education and other support systems. The most common method is the fetal ultrasound. You can also use the maternal triple screen test, also known as the maternal serum screening. Blood is taken from the woman and checked for alph-fetoprotein, human chorionic gonadotropin, and unconjugated estriol to calculate the probability of the baby having Down syndrome. Also included in the formula are the fetal’s and the mother’s age. The third method has risks, thus there are requisites before it can be performed. You must be at least 35 years old, has had abnormal triple screen test or ultrasound, your family has a history of the syndrome or you have had a child with this condition. This method is called karyotyping. 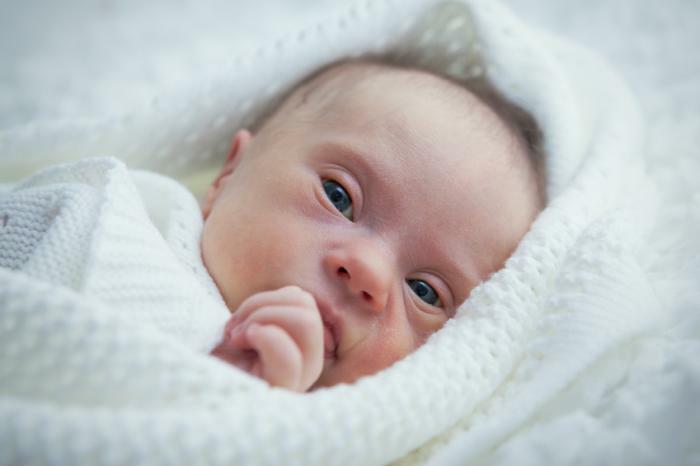 It can also be performed after birth if Down syndrome, based on your child’s features and earlier tests, is highly suspected. Treatments of Down Syndrome include counseling, speech therapy, physical therapy, occupational therapy, and regular trips to the doctors to monitor your child’s condition especially the heart and respiratory system. You can also enroll your child in support groups to develop his or her social skills. Keep in mind that this condition is life-long and thus the purpose of treatment is not to dispense with the syndrome but to make your child function as a responsible individual and citizen in the future. Do you want to know more about the Down syndrome condition that affects a significant percentage of children around the world? 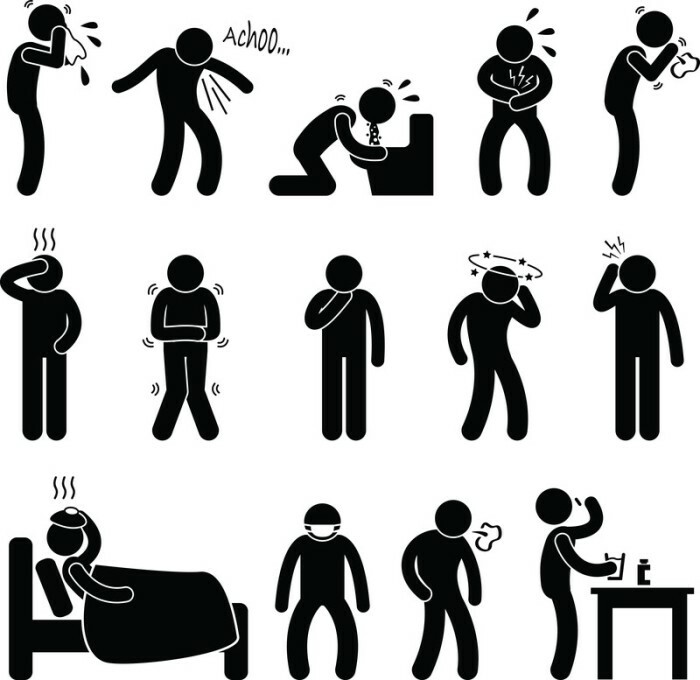 Here are frequently asked questions about this illness and the factual responses. No. This condition is generally caused by an accident during cell division or meiosis. Studies have not proven any genetic link. 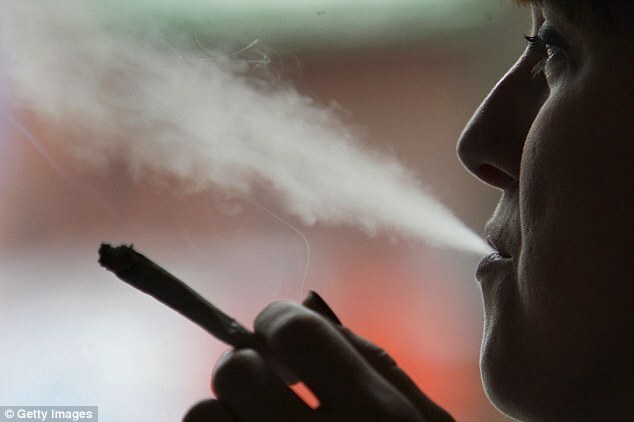 Can it be caused by drinking alcohol or taking drugs? No. Alcohol or drug consumption has no relation to the child’s having Down syndrome or DS. Since the culprit manifests during conception through cell division, nothing imbibed before or during pregnancy could have caused it. If you have a brother or sister who has DS, is it likely that your baby will also have DS? No, because DS is an abnormality in the chromosome which is not attributed to heredity. According to studies, the age of the mother is a risk factor for the baby and the possibility of DS. How come statistics show that mothers of babies born with this condition is under 35 years old? Scientists still have not been able to find the missing link or gap to answer this question. Some pose the theory that statistics show these kinds of findings because the birth rate for women under 35 is higher than those above this age. Does DS carry with it sterility? This depends upon the gender of the person having DS. Women may still conceive while men with DS are generally sterile. If you have DS, is it likely that you will Alzheimer’s in the future? According to medical studies conducted, people with DS, as they grow older, undergo cognitive deterioration which may have been responsible for people saying that he or she also suffers Alzheimer’s disease. Generally, how long does a person with DS live? First, let us consider the question for those people with DS who get past adolescent into adulthood. The life-expectancy of a person with DS is hinged upon his or her skills of independent living, contrary to the belief that the determinant factor is the existence of medical problems which may go with this condition. Those with good self-help skills can live up until the age of 50 while those who are dependent on others even for the simplest of tasks live until their 40s. The second way of looking at the question is to look at the survival rate of babies born with this condition. According to researches, heart defects are the major causes of death at this stage. The crucial years for children with DS are when they are a year old and when they reach the age of 10. Will cranial therapy help children with DS? Some support this method of massaging the infant’s skull decreases manifestations of DS. However, since DS is because of chromosome abnormality and a child’s skull has completely fused after birth, this kind of therapy may be a futile attempt to correct DS. Proper treatment and understanding of food poisoning is important. However, you should also not lose sight of the greater responsibility of preventing it from happening to not only us but also to others. Here are smart ways that could help you avoid food poisoning. Be sure to always wash your vegetables and fruits thoroughly before eating them. Before eating any cooked food, be sure that it is properly cooked. If, for example, you cut into a meat and observe that it is still raw in the inside, do not eat it. This could mean that the bacteria that may be there have survived the mild cooking and can still infect you. Don’t just put food in your mouth without looking at it or smelling it. If it looks different from usual or smells different than normal, check with the one who cooked before eating it. Check also for other signs of spoilage like mold or uneven discoloration of some parts of the food. If what you will be eating are leftovers, be sure to heat them up before eating since heat can kill bacteria that may have grown on it while it was in the fridge. Always check the expiry date of any food or drink. Make it a habit to refer to the expiration dates in the labels of food and take it as it is which means that it is to be eaten BEFORE the expiration and not on the expiration day, those dates are not there for nothing, you know. Similarly, do not neglect to refer to the storage instructions that companies include in their packaging. These instructions will naturally differ from one type of food to another, some may require longer periods in cool dry places, while some may go as far as to instruct that the product be kept in high temperature containers at all times. These labels may also provide for instructions on the appropriate cooking method and temperature, be sure to observe that as well. Lastly, be sure to cover and refrigerate the food product immediately, as room temperature doesn’t offer much protection from the growth of bacteria. In fact, it will breed it. By refrigerating the food, the bacteria are killed and their potential for growth is shattered. 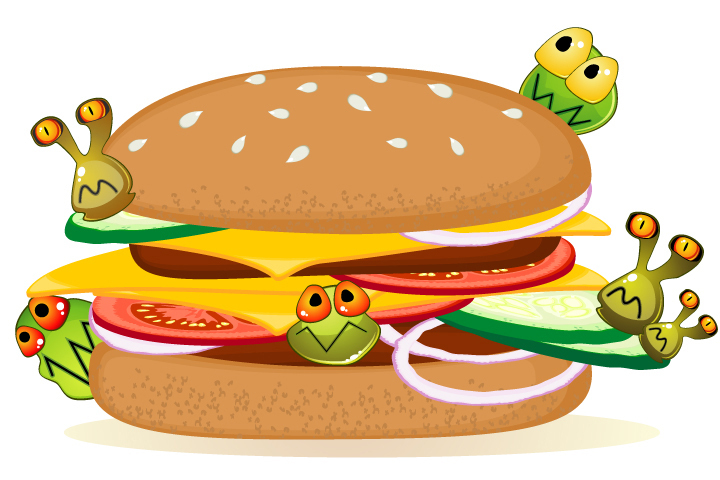 The key, therefore, in avoiding food poisoning is both attentiveness and patience. Be attentive to the warnings that the manufacturers give, be aware of the limitations of the food products that you purchase and be conscious of your eating, food preparing and food storing habits. Only with these can you insure good health and joyous eating safe from the threats of food poisoning. Repetitive stress injury (RSI), also called repetitive strain injury, is normally caused by rapid and repeated use of joints and muscles. RSI is a type of an overuse injury. Among the most common symptoms are numbness, burning and tingling sensations, pain and swelling. Although athletes are the people most easily identifiable with RSI, it can affect people from all walks of life. Golfers, tennis players, assembly line workers and trades people like jackhammer operators are some of the people who commonly have RSI. Activities such as computer and gadget use, video gaming and even knitting are associated with repetitive stress injuries. Common conditions of repetitive strain are carpal tunnel syndrome, tennis elbow golfer’s elbow and rotator calf injuries. Repetitive strain, when left untreated, can lead to injuries that may not heal especially when the factor causing it, that is, the repetitive movement or activity is not discontinued for a reasonably long time. Repetitive stress injury causes damage to the nerves, muscles, tendons and tendon sheaths of the upper limb, including hand, forearm, neck and shoulder. In an RSI, the tissue of the muscle or tendon can have tiny tears. The area becomes inflamed as the body tries to repair the damage. Scar tissue and thickening will develop over the torn tissues. At this point, the area will be painful. With enough rest, the body is supposed to repair the damaged tissues, but continuing activity will result to further damage and inflammation, more scar tissues, thickening and pain. Nerves get damaged by RSI also. They run through muscles, so that when the muscles are not in shape, nerve health is affected as well. Tingling sensations are caused by nerve compression. RSI is normally associated with the nerves from the neck through the shoulders and down to the forearms, wrists and hands. If the other structures where the nerves pass by become damaged or tight, the nerves’ movement in the arm is impeded. These tight nerves, when used repetitively, such as when typing or doing process work, will in turn, become sore and inflamed. The problem worsens when the activity is repeated and the nerve is not given time to recover. Soon, it will be extremely difficult to perform even simple task without feeling pain. RSI can be complicated because you have many nerve fibers that run from your neck through your arm, so the pain may be felt anywhere in your body along the path of these nerves. Your joints may be affected in the log-term when RSI is not addressed. Your joint movement and posture may become abnormal, resulting in joint stiffness and pain and even premature degenerative changes. Chiropractic care can take you to recovery and bring you back to your regular activities fast. A chiropractor will diagnose the source of your pain, provide effective hands-on treatment and offer expert advice to help prevent RSI and pain from recurring. In the course of your chiropractic visit, the chiropractor will assess your pain, conduct physical examinations, which may include x-rays, to diagnose the problem then discuss with you the assessment findings and treatment recommendations specific to your needs. With your agreement, the treatment, which may include techniques, such as, adjustments and joint mobilization, muscle release techniques, muscle stimulation, ultrasound, and therapeutic exercises will commence. Expect the treatment to include recommendations on changes in your life and work style. These recommendations may require making changes to your work station and routine, introducing regular breaks to relax joints and muscles and stress relief and strengthening exercises. The treatment may be done on the first or subsequent visits. The length of the treatment will depend on the patient and condition. Obviously, people who have degenerative issues or have been dealing with pain long-term will be in treatment for a longer period. What types of КЫШ can be treated by a chiropractor? Read here. There are two major factors in the successful treatment of RSI – addressing the source or cause of the repetitive strain and chiropractic care. The patients should play an active role in the healing and treatment process by making necessary changes to their work activities and taking preventive actions to avoid its recurrence. The exercise should be a healing partnership between the patient and the chiropractor.